The first Apple Watch Edition was in hardened 18k gold. The second Apple Watch Edition was in white ceramic. The third Apple Watch (Series 3) comes in both white and gray ceramic for the Apple Watch Edition variant. 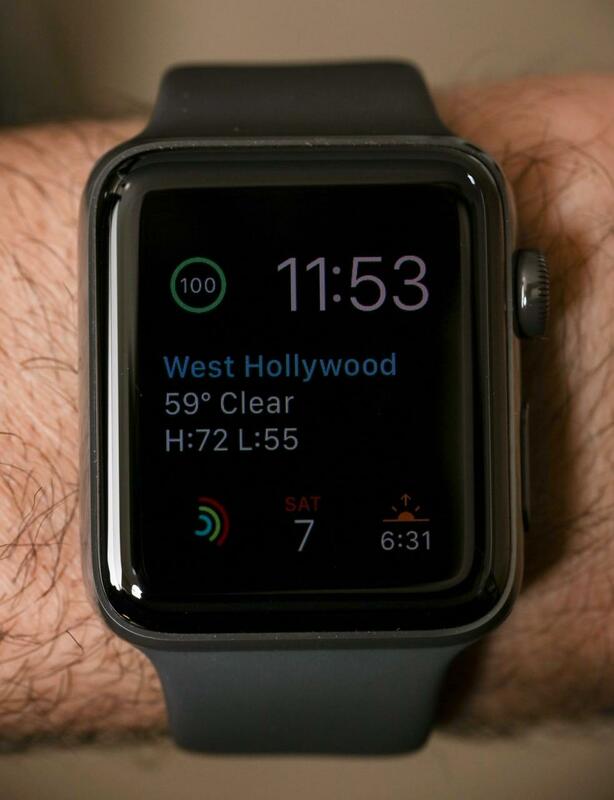 This particular case material appears to be a preferred choice for Apple and I believe we will continue to see the world’s most popular smartwatch available in ceramic for the time being – even though it will remain part of Apple’s more “premium” Apple Watch products. I wanted to take an opportunity to write about not only ceramic as a watch case material, but also discuss my predictions for the material’s importance to Apple, smartwatches in general, and any other wearable smart technology that will be available to consumers in the near future. 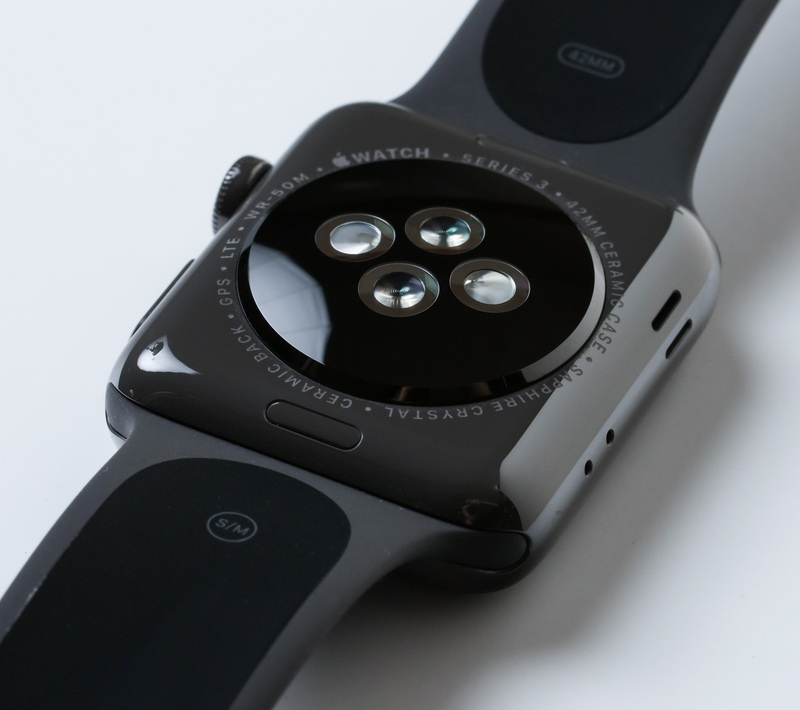 Why does Apple offer a $1,000 USD plus version of the Apple Watch in ceramic ($1,349 in the 42mm long case) when for $359 (for the 42mm long model) you can have the same connected technology in aluminum? For $649 (again, 42mm model) you can get the Apple Watch Series 3 in steel (either naturally polished or in black) that is a durability step up from aluminum. It takes double your money again to pay for the Apple Watch Edition Series 3 and it is important to answer the question of “why?” On the most basic level a more expensive Apple Watch is a status item. 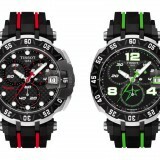 Seeing one in white or the harder-to-notice gray ceramic does imply that your watch isn’t steel and thus something different, which has a personal status-defining element to it (especially because it costs more). 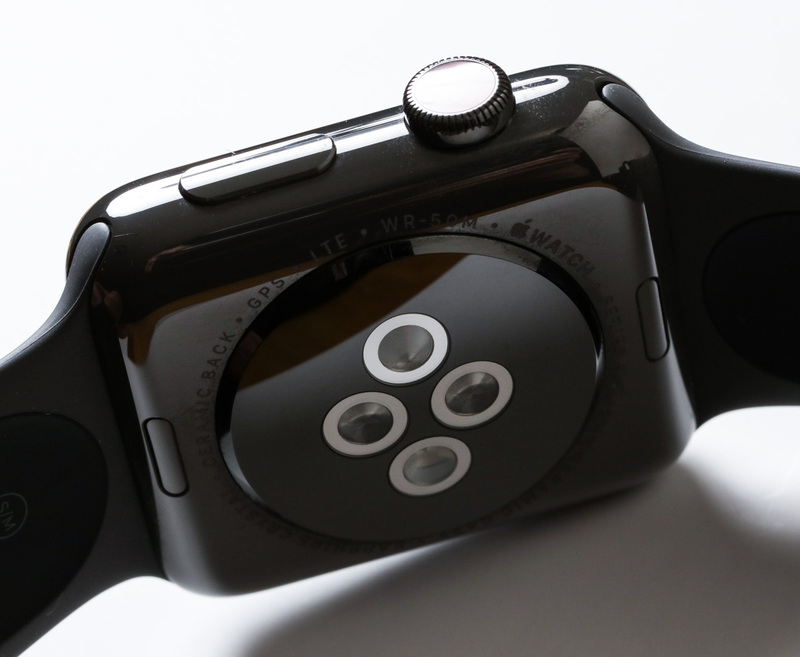 But is Apple just offering a luxury version of the Apple Watch so some people can brag? While a “look at me and be jealous” argument may apply more to a gold Apple Watch, ceramic as a case material is a lot more practical. 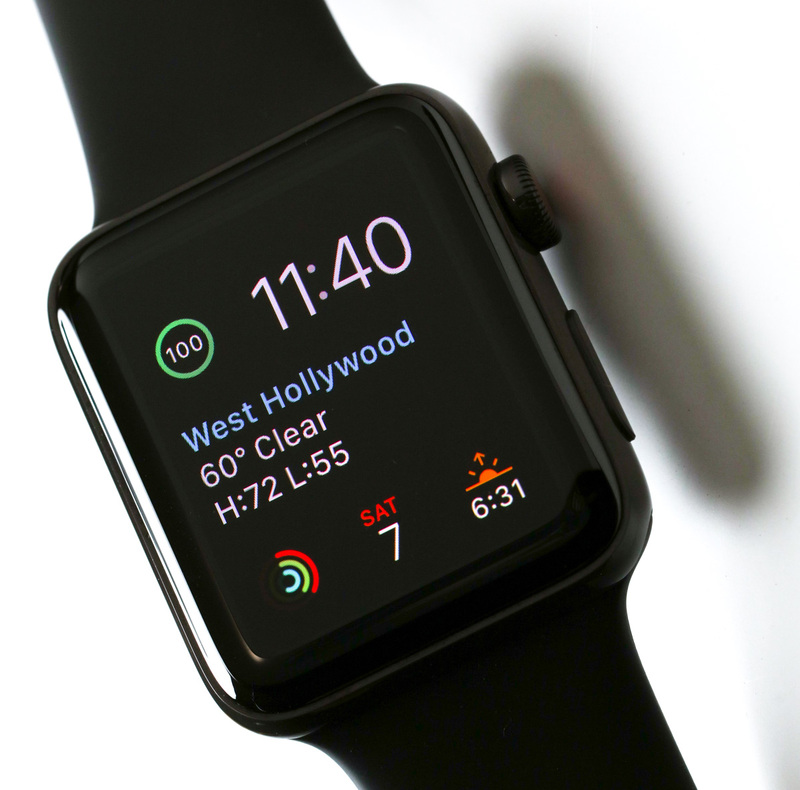 My argument is that ceramic as a watch case material for the Apple Watch offers very definable benefits for the consumer – which I will distill down to “ceramic watches will look newer, for longer.” It might not be in your budget to spend double on durability, but I think it is important to take a close look at ceramic as a material for smartwatches, as well as how important it is in the traditional watch industry. Ceramic as used for watches is often referred to as “high-tech ceramic.” That’s because companies don’t want you to mistaken these sophisticated ceramic materials for pottery or toilet bowls. Ceramics are basically a category of non-metal materials which come in many forms. 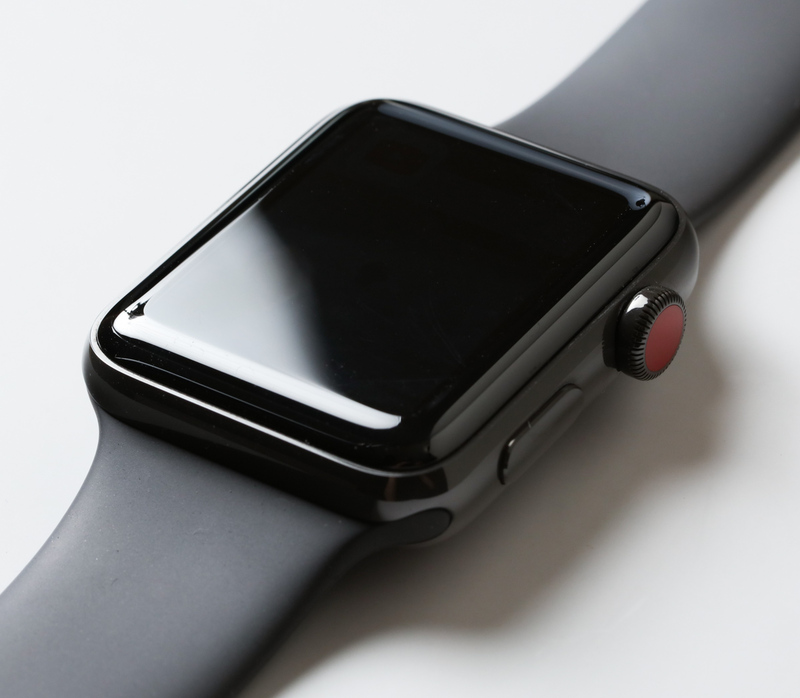 The form normally used for watch case materials is zirconium oxide which is sometimes referred as “zirconia.” This is the term that Apple uses when referring to their ceramic case material. Zirconia – like other ceramics – needs to be formed, then baked, and then machined. An oven-baked block of ceramic is formed in roughly the shape of the final product, but it then needs to be carefully cut and polished using multi-axis computer-controlled cutting (milling) machines (CNC machines). This machining process is where a lot of the value comes in compared to metal. While metal can be bent and is to a degree pliable, ceramic is a much more rigid material. That means it doesn’t have the elasticity of metal given that it is a more dense material. In some respects this is where ceramic’s principle weakness comes in, because given severe impact/shock it can shatter. If you drop a metal plate on the floor it might bend or deform but it won’t shatter. Everyone knows that if you drop a ceramic plate on the floor it either retains the exact same shape or physically cracks. 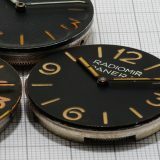 Apple didn’t decide to use ceramic as a case material in a vacuum and they are hardly the first watchmaker to do so. Swiss Rado has been using “high-tech ceramic” since the 1980s and in the early 2000s Paris-based Chanel confirmed ceramic as an important watch case material with the popularity of the Chanel J12 collection. Available in black or white, the J12 took a classic sports watch design, made it for men or women (mostly women) and rendered it in ceramic. 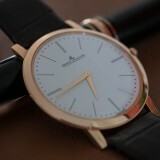 The J12 was (and still is) an incredibly popular watch that introduced an entire generation of luxury seekers to ceramic. 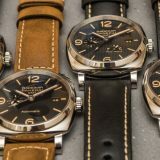 Over the last 15 years I’ve personally watched a timepiece industry initially skeptical to ceramic quickly start to adopt it as an important material for watch cases. 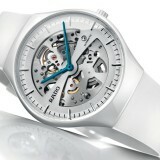 Some watches (such as a few produced by Omega) have ceramic cases, ceramic bezels, and ceramic dials. 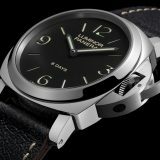 In some instances watch brands are even experimenting by putting ceramic materials inside of traditional mechanical watch movements. The biggest area of innovation in ceramics is color and finishing (how surfaces are polished). Traditionally it was only possible to reliably produce ceramic case materials in a few colors such as white, black, and various darker colors like deep blue, brown, or gray. Lighter colors were challenging because the high-temperature baking process would burn or otherwise deform coloration pigments. More recently colorful ceramics are becoming available, although they are still limited in their availability. For 2018 red ceramic is perhaps the hottest tone and until recently it was simply not possible to get a red ceramic watch case. 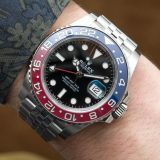 This year Swiss Hublot debuted the over $25,000 Hublot Big Bang UNICO Red Magic, and Rolex introduced a $9,000+ “finally in steel” GMT-Master II with a red and blue ceramic bezel. Even seriously traditional (and more more high-end) Swiss watchmakers are jumping on the ceramic bandwagon. Conservative Audemars Piguet released a black ceramic version of the Royal Oak Perpetual Calendar that costs almost $100,000. 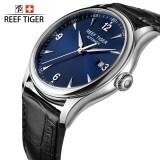 What can easily be said is that the majority of serious traditional Swiss watchmakers are incorporating ceramic materials into at least some of their products – with many products featuring ceramic cases similar to that used on the Apple Watch Edition. I say all this to demonstrate that Apple continues to closely follow the traditional watch industry and take its lead in regards to important design and material trends. Unlike precious metals such as gold, zirconia is not itself inherently valuable. It does not use expensive materials and the value comes not from the material makeup, but rather in the production techniques themselves. The post-Chanel J12 world had watch companies both large and small investing in ceramic materials for their watches – not all are created equal. 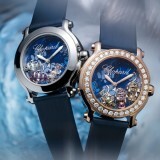 To say that all ceramic watch cases are the same is to say that all steel watch cases are the same. In addition to small differences in the alloy (in reference to steel), how steel is machined and polished makes a huge difference. Cutting and polishing ceramic is where things can get complicated – and Apple’s deceptively simple Apple Watch case has a large number of complicated angles. 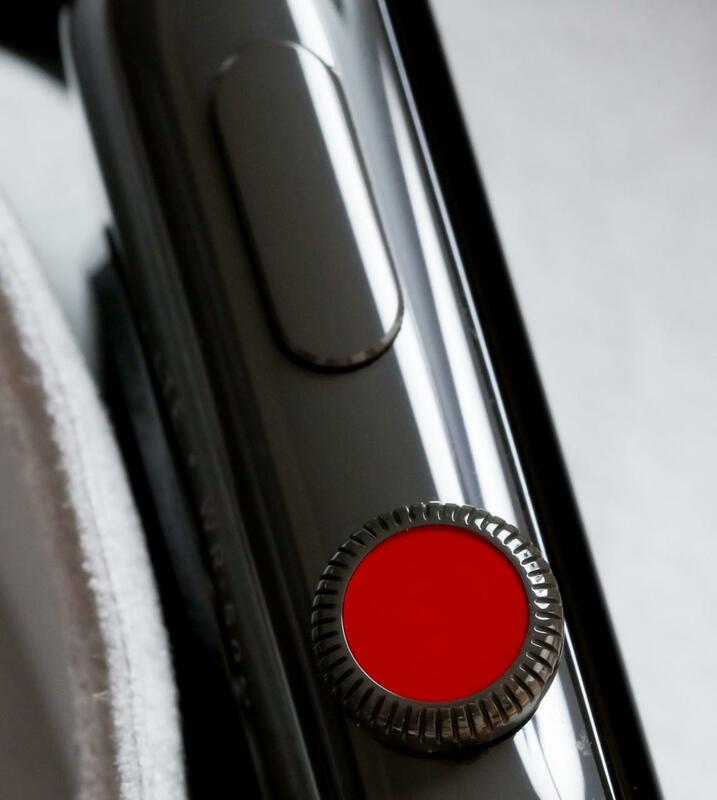 In addition to polishing the ceramic Apple Watch case for aesthetic considerations, the case is also carefully machined in order to have all the right holes, connection points, and other features that a hardware casing requires. Unlike most other ceramic materials, zirconium oxide is strong and smooth enough to be connected to metal, which matters a lot. 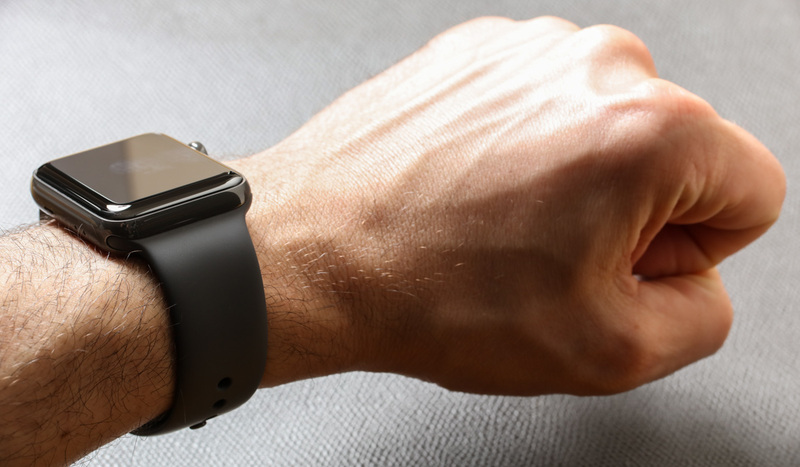 For smartwatches ceramic is also very useful because unlike metal, ceramic (as far as I know) doesn’t dramatically inhibit the transmission of communication signals. 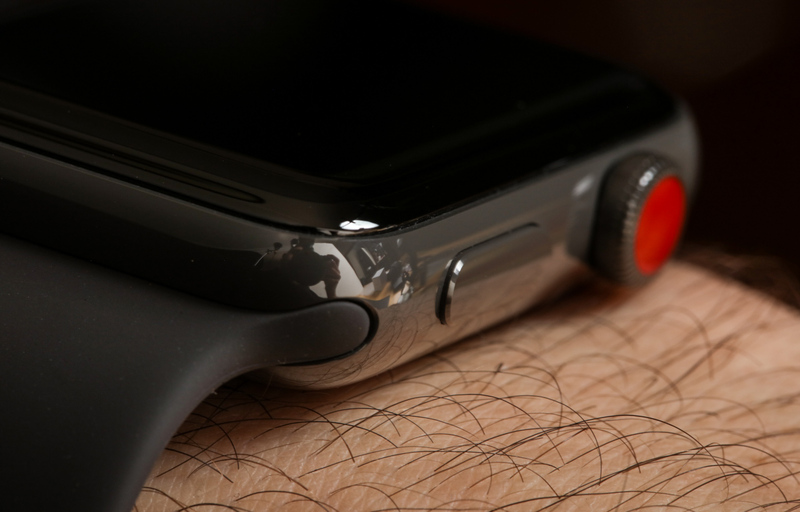 The metal Apple watches use an antenna under the screen (which isn’t metal) so there are ways around having a metal case on a smartwatch. Having said that, as designs continue to evolve, having a case material that is not unfriendly to the transmission of radio signal communication frees up designers in many ways that we can’t fully anticipate right now.